Especially when shipping internationally, we may need universal picture or symbol that may be understood regardless what the national language of the recipient is. Pictorial labels are hoped to keep shipped contents safe upon arrival and is handled appropriately. 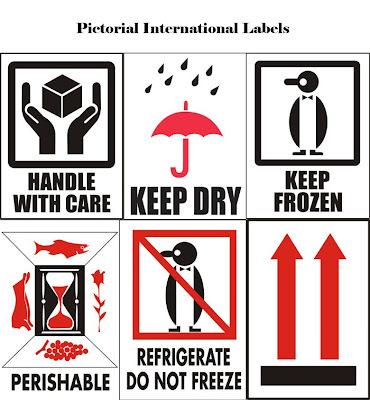 Bay Tec has universal pictorial international labels as summarized in the following picture. 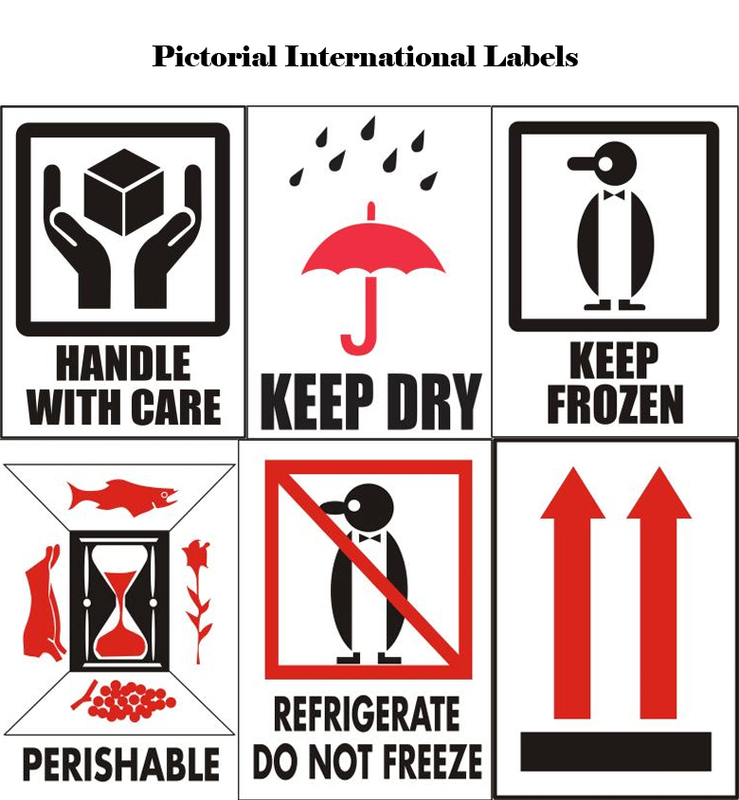 These useful labels will help a great deal in ensuring safe deliveries of your products.